I am a Training Peaks Level 2 certified coach, British cycling Level 1 certified coach and a British Triathlon Level 1 coach and have been coaching for 8 years now. I am passionate about passing on my experience and knowledge to other athletes to make their journey in endurance sports a fulfilling one! Every athlete starts from a different base in terms of experience. The training programme for a rider with 10 years training behind them is very different in the "base-building" phase to a rider who is about to take up cycling for the first time. 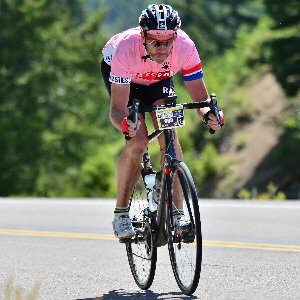 Equally, if you are training for a sprint triathlon/duathlon, 10 mile TT, 10km run race or a season of crit racing then your training sessions will focus on different things to someone who is training for an Ironman or a 7 day stage race. BUT key elements of athletic performance and fitness do apply across a range of events and goals, it’s my job as your coach to ensure you have a programme that incorporates all the factors required to reach your goals and make you faster! Every athlete I have coached has seen improvements using 1 to 1 coaching. Have a look at some of the testimonials on this website, read their comments and you will see that whatever your fitness goals are Next Level Cycle Coaching can help! All you need is a GPS device & a HR monitor to get started! Success. Coach David Butler has been notified of your message. To hire David Butler as your coach, select the coaching service that is right for you.